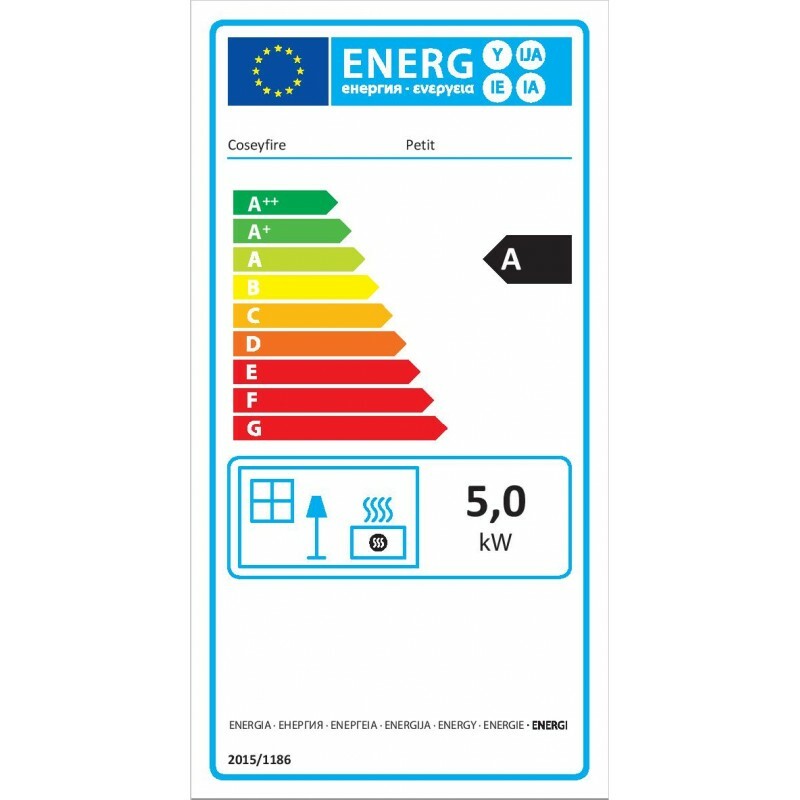 CE and British standard tested in UK at great expense. 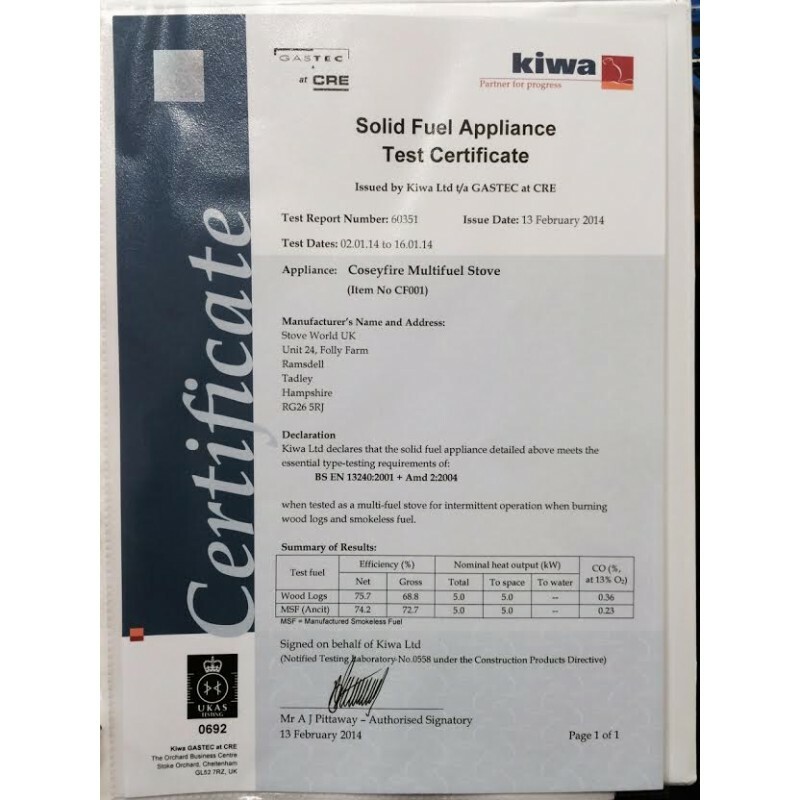 Smoke particle emissions tests have been passed and certified for being fitted in a smoke free zone. 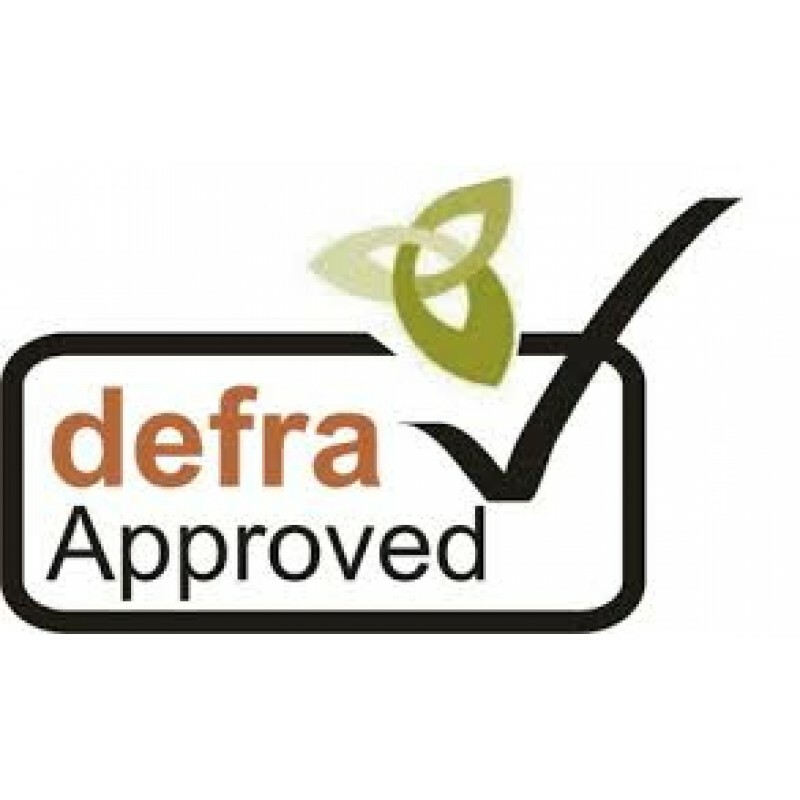 Now fully Defra approved so you can burn wood in a smoke free zone. You can also fit a 5" flexible liner. 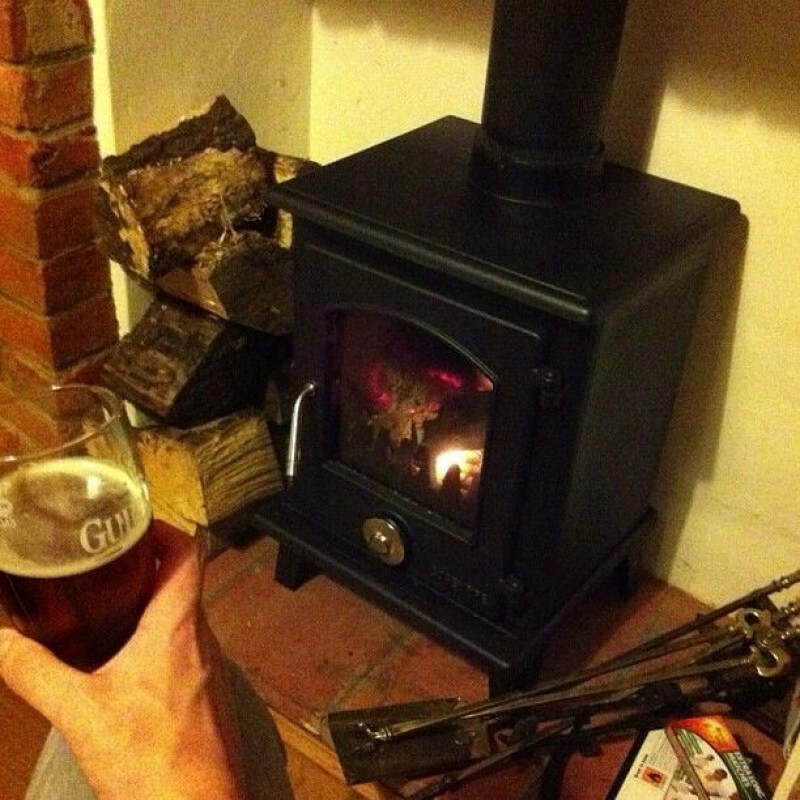 Base does also not exceed 100c so can sit on a 12mm hearth. 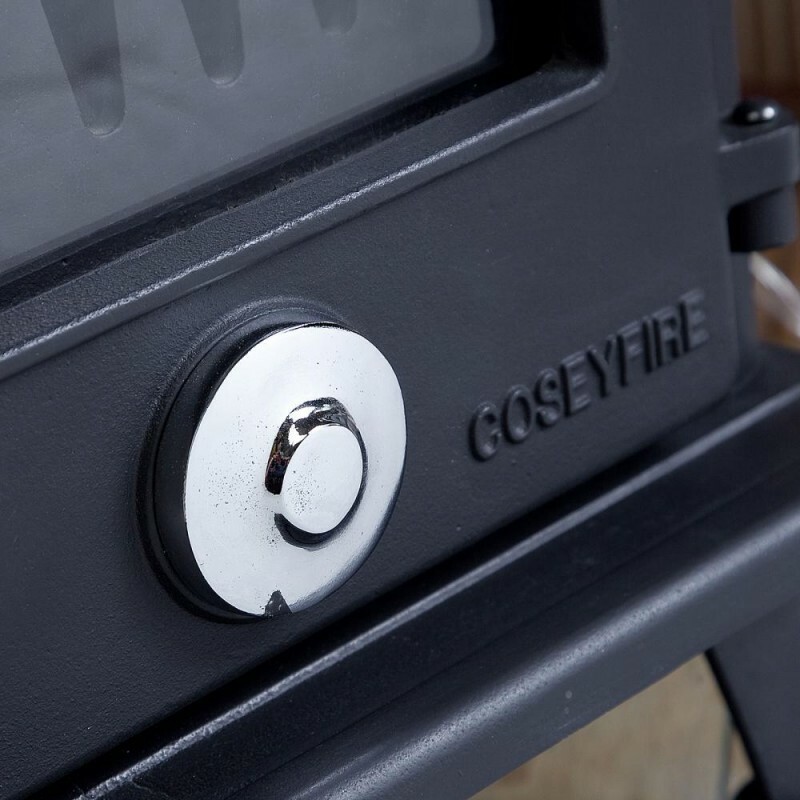 This is a common question we get asked and understand why people will sometimes wonder how we can make a stove like the Coseyfire Petit so cheaply. 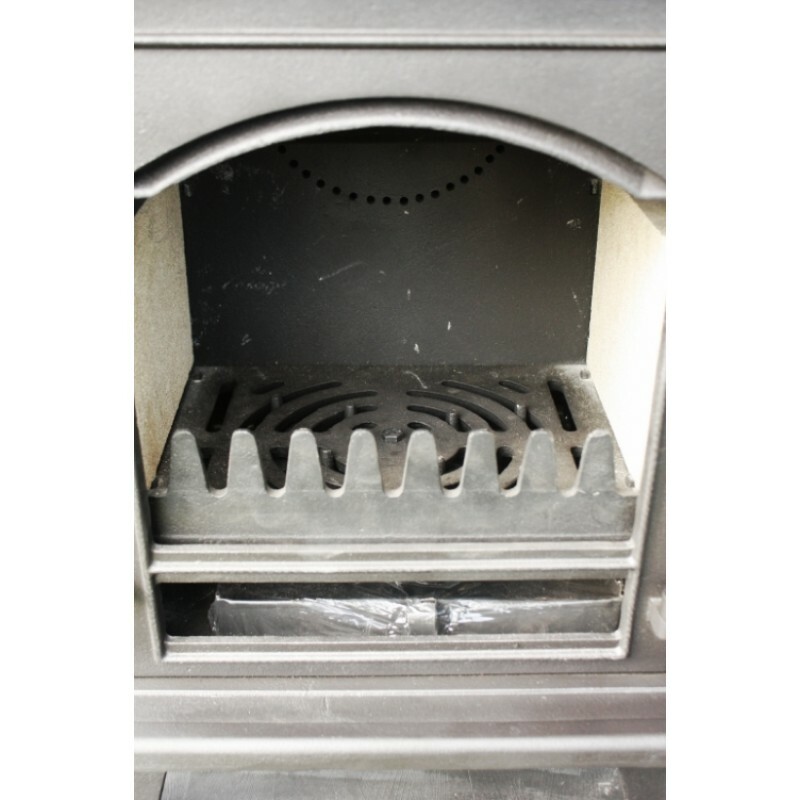 We design a large amount of our products and they come direct from our factory to us. This completely cuts out any middle men. 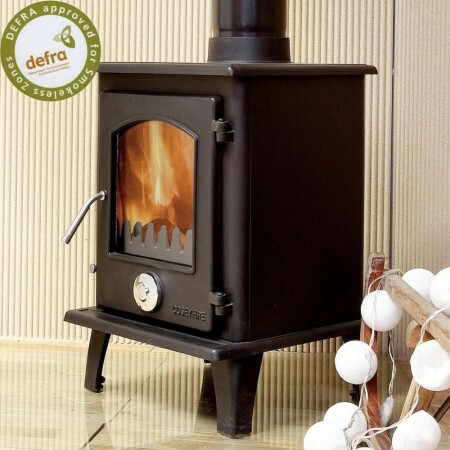 We can stock over 2500 wood burning stoves at any one time and ship direct to the end user with no showrooms. 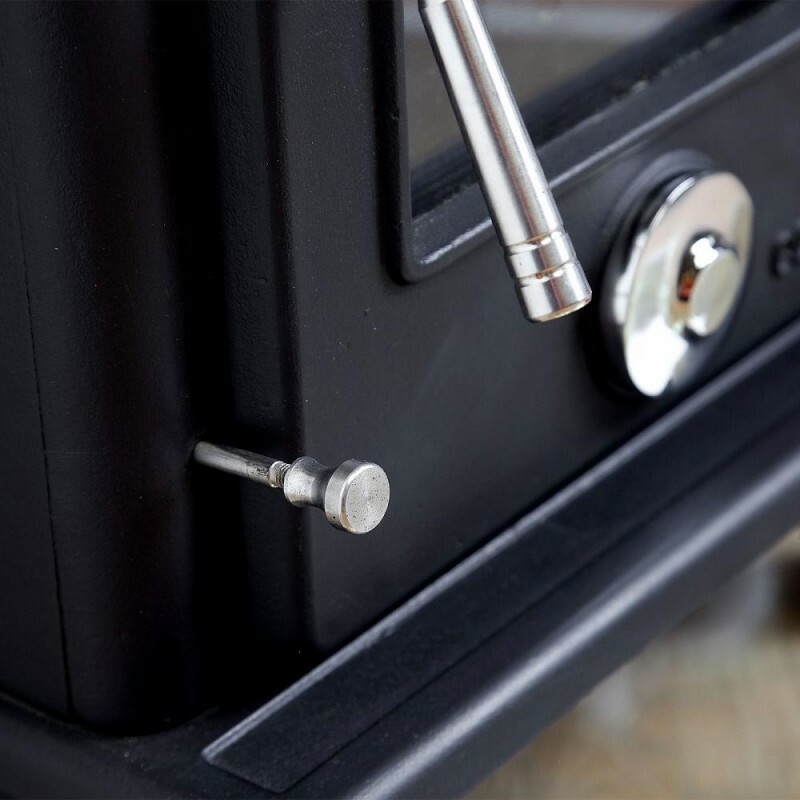 We always suggest prospective buyers take a look at our glowing feedback that currently has over 7000 positive comments on our stoves and stove products. Please note that this is the price for delivery of DEFRA APPROVED Coseyfire Petit Multi-Fuel Woodburning Stove 5kw, WITH SECONDARY BURN only. The final amount might change depending on the contents of your shopping bag when you check out.